I saw a picture of the cheese burger at the Barouqe Bistro and made plans to eat it. 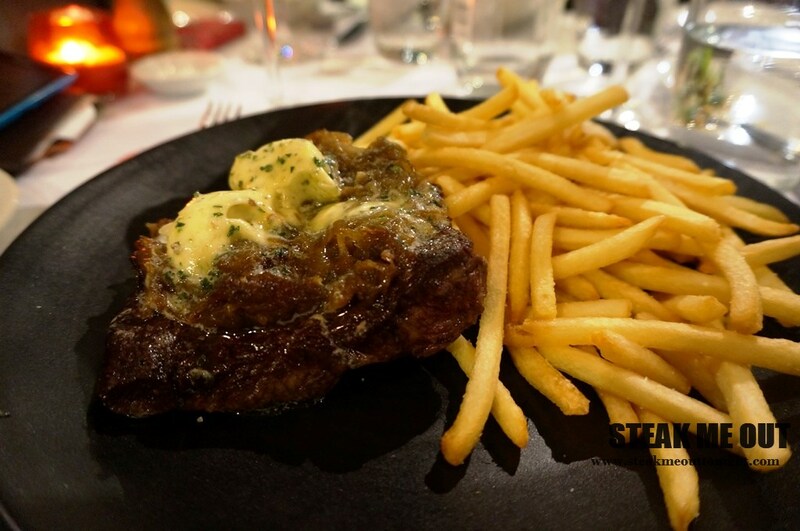 When I got there and perused the menu, their steak frites also caught my eye. Coupled with the black truffle cheese burger I knew this was going to be a heavy meal. I ordered the cheeseburger for entree, and the Tajima wagyu flat iron with bone marrow butter. For the steak they recommend medium but I asked for medium rare as the flat iron can get tough and I didn’t want it to be a bad steak. The cheeseburger came out looking divine; diving into it my first observation was the lovely sweet brioche bun was a bit dense and dry. The fillings were select, a fantastic patty cooked to a perfect medium with some great pickles, cheese and sauces. Altogether they slightly masked the truffle taste (especially the cheese) however as faint as it was, it was there. My only complaint was the noticeable lack of truffle hit and the bun needed an upgrade. Soon after my plate was cleared the steak arrived. There were so many fries, border lining on excessive. The butter slowly melting on the well charred steak I cut in and found it cooked medium rare to medium I wasn’t overly phased. It was so creamy and fatty, deliciously pan grilled and seasoned just brilliantly. 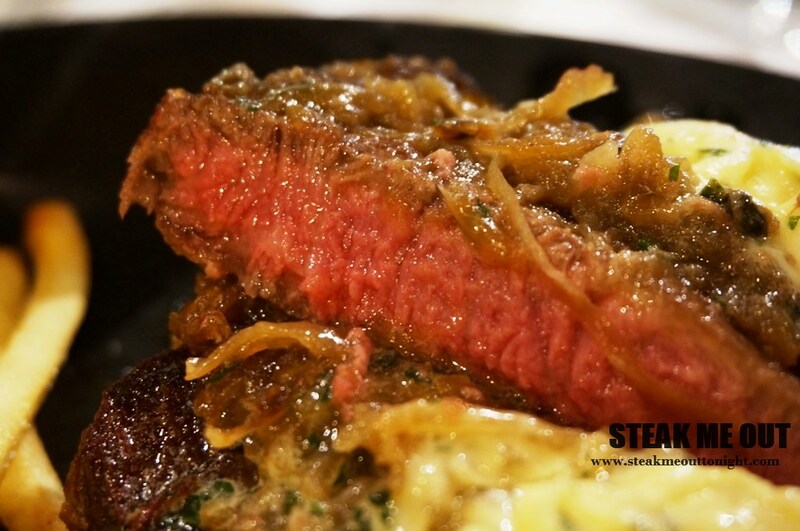 Whilst it had lovely visible marbling and a heavy beef flavour shining through, t was a flat iron and lacked real tenderness. Overall a good cut with minor things bringing it down. 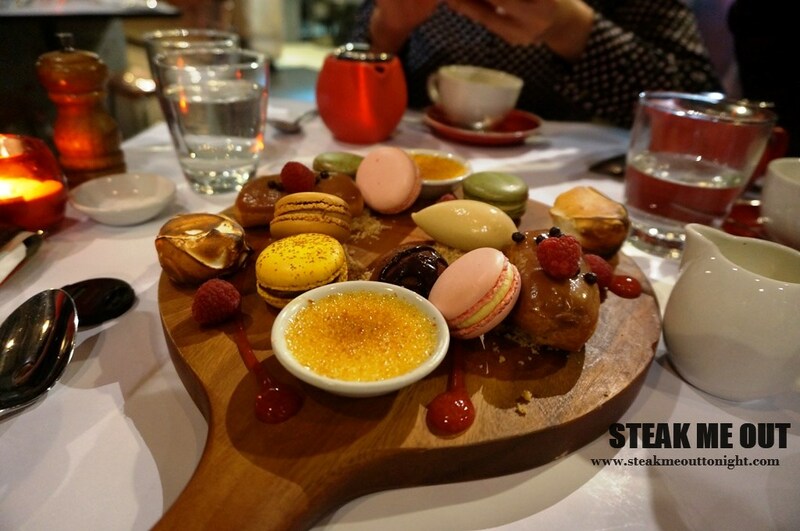 Lastly the Dessert platter, a great way to finish up the meal. 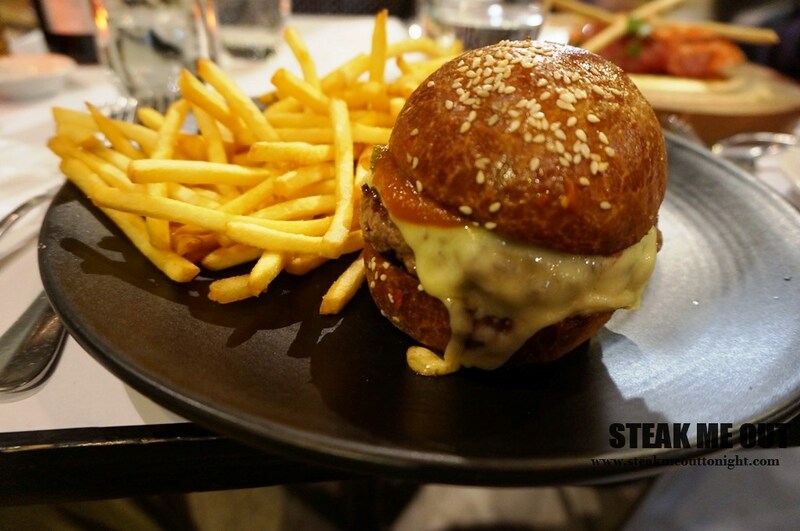 Posted on March 26, 2015 March 27, 2015 by AdrielPosted in Steak, SydneyTagged Burger, Flat iron, Steak Frites, Steaks, Sydney, Wagyu.